If you are looking for a cost-effective mobile android phone, Xiaomi Mi 9 will be your best choice. As Xiaomi's latest powerhouse combines flagship features with a very tempting price tag, Xiaomi's tagline might as well be "more bang for your buck", because its new top-dog brings a killer triple camera arrangement and Qualcomm's latest and greatest Snapdragon 855 processor to the party, making for a compelling combination – and all for around half the price of your typical flagship phone. 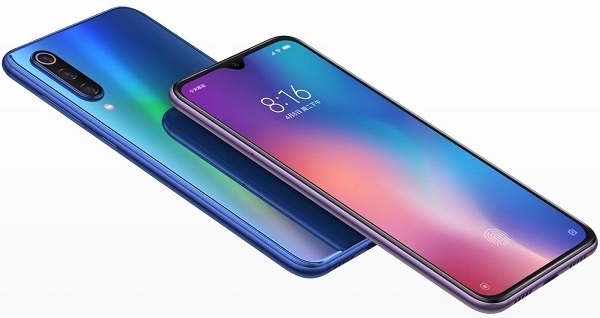 Why we said Xiaomi Mi 9 is cost-effective, the Xiaomi Mi 9 costs €449 for the 64GB version, or €499 for the 128GB model. It became available to buy on 28 February 2019 in certain European markets including Spain, but it’ expected to arrive in the UK in late March. Xiaomi has continued down the path of offering impressively capable smartphones at prices that subvert the status quo. In a market where most flagships are now dancing around the £1000 mark, the Mi 9 operates at a similarly high level of quality and performance although costs around half as much as the likes of the iPhone XS, Huawei Mate 20 Pro and Samsung Galaxy S10 Plus. According to the above, you will realize that the Mi 9 is by no means faultless when compared against the equally fresh-faced Samsung Galaxy S10, and its rather atypical MIUI 10 Android skin won’t be to everyone’s taste. Nevertheless, this doesn’t detract from the fact that you get a serious amount of tech for your money. If you want to play Music on Xiaomi Mi 9, the audio quality may be not good enough as iPhone or Samsung Galaxy S10 and so on, however you can also enjoy kinds of music files on Xiaomi Mi 9, in the following we will talk about playing Apple Music on Xiaomi Mi 9 without iTunes. To delete DRM from Apple Music quickly, a third party tool is needed. Macsome iTunes Converter is the tool to help you simplify your process to decrypt DRM from Apple Music and convert them to MP3, AAC, FLAC and WAV, and it is designed to convert Apple Music songs and other iTunes DRM Audio files to MP3, AAC, WAV or FLAC with fast conversion speed and excellent output quality. There are four output formats include MP3, AAC, FLAC and WAV to choose. Step 4. Start converting . Click the "CONVERT" button to start the conversion. All the conversion will be finished quickly. Step 5. Transfer the converted files to Xiaomi Mi 9. After the conversion, just connect your Xiaomi Mi 9 to the computer and the transfer the converted Apple Music files to your Xiaomi Mi 9. Now you can play Apple Music files on your Xiaomi Mi 9 without iTunes.